WASHINGTON — CIA Director Mike Pompeo said Tuesday that North Korea is moving “ever closer” to putting Americans at risk and that he believes leader Kim Jong Un won’t rest until he’s able to threaten multiple nuclear attacks against the U.S. at the same time. 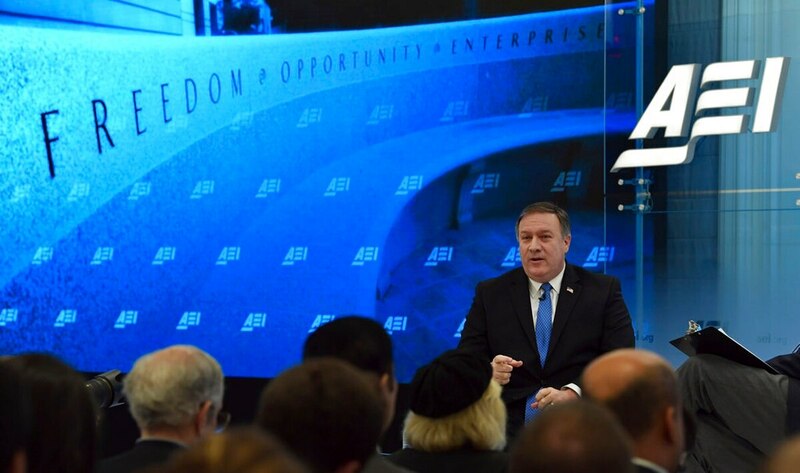 Speaking after one year on the job, Pompeo also said the CIA believes Kim would not only use nuclear weapons to stay in power, but to threaten to reunify the divided Korean Peninsula under his totalitarian regime. The quest for reunification is disputed by some North Korean experts who see Kim’s nuclear program as primarily a means of retaining power and don’t think he would threaten or forcibly try to take over South Korea. He wants the ability to deliver nuclear weapons from multiple missiles fired simultaneously. “That increases the risk to America,” Pompeo said. It’s unclear how well the United States could defend against multiple missiles fired from North Korea at the same time. Despite his warning, Pompeo doesn’t think a North Korean attack on the United States is imminent. He said the Trump administration is “laser-focused” on achieving a diplomatic solution to the nuclear standoff. Americans should know that it is working to prepare a series of options so the president has the “full range of possibilities” to address the threat. He wouldn’t address the question of whether there are military options available to the U.S. that don’t risk an escalation into nuclear war with North Korea. Earlier this month, a false alarm that a ballistic missile was headed for Hawaii sent the islands into a panic, with people abandoning cars and preparing to flee their homes until officials said the cellphone alert was a mistake. Associated Press writer Matt Pennington in Washington contributed to this report.